Ah, sport fragrances — (almost) universally hated by PerfumeFanatics© and apparently adored by, and selling like hotcakes to, the rest of society. For perfumers, being asked to formulate a sport fragrance for the mainstream market must be like Martha Argerich being asked to play the C major scale (right hand only) — easy work! And with sport perfumes, the ease smells; these fragrances are, for the most part, interchangeable and have no interesting facets (only the bottles and designer names are unique). This spring, Burberry and Gucci are but two companies involved in major sport fragrance launches. Burberry Sport for Men starts off soapy, sweet and gingery, with a clean grapefruit note. The gingers in Burberry Sport are more spicy-candied (think preserved ginger or strong ginger ale) than fresh and rooty. There is also a light and indistinct floral character in the soapy opening. As the scent goes into its mid-phase of development it becomes a bit “astringent” (bracing and “cool” but not strident); the dry-down returns to the sweetness of the opening notes with hints of pale wood, light musk and soft ambergris. Though Burberry Sport follows the sport scent trajectory, it’s mellower than most sport fragrances on the market. Burberry Sport for Men has good lasting power and sillage; Burberry uses “sporty” rubberized materials in the packaging and there is no Burberry plaid in sight (the scent is a complement to the “plaid-less” Burberry Sport ready-to-wear line of clothes). If you are wondering what to do with the red rubber band that’s wrapped around the carton…it’s a bracelet. Burberry Sport for Men is an Eau de Toilette, available in 30, 50 or 75 ml ($45-72); other Burberry Sport toiletry products are aftershave balm and lotion, shower gel and deodorant. Gucci by Gucci Sport seems to have been created by committee (“a collaboration involving Giannini, the Procter & Gamble Prestige Products fragrance creation team and fragrance supplier Givaudan….” 2) Gucci by Gucci Sport contains grapefruit, mandarin, cypress, lemon, cardamom, fig, vetiver, patchouli, and ambrette seeds. I really like the Gucci by Gucci pour Homme ‘horse-bit’ bottle (and I especially like Gucci by Gucci Sport pour Homme’s clear glass bottle filled with green juice). The Gucci bottle "elevates" the fragrance from the usual boring blue bottles and blue juice of many sport fragrances on the market and it avoids a kitschy “sport”-theme design. Gucci by Gucci Sport Eau de Toilette is sold in 50 and 90 ml ($57/73); the fragrance is also available in after shave lotion and balm, deodorant (spray/stick) and shower gel. Neither Burberry Sport for Men nor Gucci by Gucci Sport pour Homme are innovative. I’ve smelled this type of “stuff” time and time again…and with the wild commercial success of sport scents, I’ll probably smell these aromas many more times in the future. After drenching myself with these two fragrances over the course of a week, I came to prefer the Gucci fragrance. 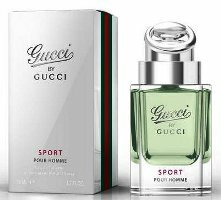 Even if Gucci by Gucci Sport pour Homme’s weird, harsh, off-kilter notes are an “accident” or miscalculation, they provide more interest for me than the staid, “soap bar” scent of Burberry Sport for Men. 1. Women's Wear Daily, 12/11/2009. Note: top center image is Dempsey and Firpo, 1924 [cropped] by George Bellows, via Wikimedia Commons. Burberry is a boring copy of Dior Homme Sport, but with no longevity to my mind. Gucci is better and more original, but boring as well. Antonpan: Dior Homme Sport is one of the more “interesting” sports scents…certainly like it better than these two overall. I bought unsniffed a bottle of Gucci Pour Homme Sport, and I didn’t care for it at all. 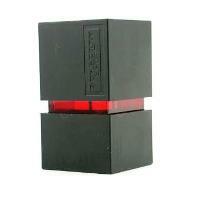 It smelled like a generic sport scent, and to me it reminded me of U by ungaro for Avon, but the Avon one lasts more. I can say that I don’t care anymore that people likes this kind of fragrance. If they want to pay high for axe formulas, let them pay high. I’ll keep with my favorites. I ended swaping my Gucci Sport for a backup bottle of Must Essence. It doesn’t last longer too, but at least is interesting. RBR buyng unsniffed … AGAIN? What am I going to do with you? LOL —yeah! whatever are we going to do with you rickbr?? Good thing I’d never ever, ever, ever buy anything unsniffed….. couldn’t possibly account for all the splits I host…..
Daisy, I’m already curious about your splits. I’ve saw everyone comenting about them! Sergelutencio: I find that to be the case with most scents…sports,or not! Hmm, i dont remember the menthol. I think i preferred the Burberry sport over the Gucci sport. As far as mainstream fragrances go, I like both these houses over many of the others. Rictor07: Burberry is getting a wee bit “cozy” for me overall…I liked the women’s Burberry Sport better than then men’s though. Um, just noting that I shouted, “BELLOWS!” when I saw this page. Thanks for that! Jessica: you’re welcome…it’s SPORTS, it’s GUCCI vs Burberry…! Can’s say anything about the fragrances (who can, really, other than those paid to make them sell) but I love both of the bottles. I like the rubber look of the Burberry and the Gucci one… well, I painted my room that color green and I do love me some thick clear glass. and stuff that sock in a ziploc sandwich bag…..
Perhaps it’d be advisable to decant a more portable amount into a plastic atomizer?? D: yes, indeed…or maybe just pack the Gucci shower gel…cheaper! LOL! It is so hard to believe that I never used to think of being stranded without fragrance as a disaster before I met you (virtually), Daisy! …my work here is done! I am utterly sick and tired of fragrance houses adopting the “Sport” suffix to create flankers. My patience was exhausted and beaten to a pulp when Guerlain committed the sacrilege of reducing the mighty Habit Rouge to this worst of common denominators. I haven’t smelled the Burberry, but I have, unfortunately, had the misfortune of encountering the Gucci. What an absolute travesty of a fragrance this is. How it got out of someone’s twisted nightmare of what could pass as a marketable fragrance is beyond me. There are few fragrances which I honestly find I have to get off my skin as soon as possible, Gucci by Gucci Sport is such a one. Yes, I managed to survive the nasal-lining shredding top notes, that synthetic atonal symphony of aroma-chemicals, which charge from the nozzle like boozed up Calibans on a mission of discord. I even managed to endure the “evolution”, if you can compliment the fragrance that far, into the heart notes as they began their plummet to the basenotes. And my conclusion? Gucci by Gucci Sport pour Homme smells like cats pee. But arguably not as good. Hahahaha I love your scathing review! I’ve not sniffed the Burberry yet. I sprayed the Gucci on paper but found it really sharp and it has the kind of grapefruit I don’t go for. I think Dior Homme Sport is pretty much the best of this kind of mainstream masculine/sport category- it even has a good dry down. Tried the Gucci today – not as bad as I thought, and I don’t mind it at all actually. The fruit is pronounced on my skin, mingled with something mildly sour. I really like Dior homme sport, but I thought Gucci was incredible. a lot of people said it’s boring and sour so I wondered if I’d smelled the same perfume to everyone else. the only thing I don’t like about it is the bottle cap it annoys me. scent is great, so fresh. I didn’t think it had any sharp edges either everything just flowed. I’m also really pleased with how long it lasts (ages). I love Gucci by Gucci homme sport, one of my favourite’s. sport scents in my opinion are better than just other regular mens scents, because they are all boring and sometimes nasty. sports fragrances have an edge and liven things up. I’ve never cared for Burberry perfumes, they’re boring.